In college I made the stunning discovery that an order of Kung Pao Chicken, braised eggplant, and a beer water was pretty much the best weekday dinner there could ever be. A friend and I made a weekly ritual of it; until one day we couldn't tolerate another bite — anyone with a bit of common sense would have seen that coming, not us, we were that naive. Kung Pao Chicken pretty much disappeared from my life for the following 5 years, until one day at “legendary” Ollie’s in Hell’s Kitchen I braced myself and ordered it again. It was everything I remembered, but better. The chicken was delicious, with a sweet slightly tangy sauce — not as sweet as the one I was used to. There were hints of spices, and a most convincing texture. I was sold on the spot, and ready to fall in love again with this classic Chinese dish from the Szechuan province. But then, horror of horrors, I moved 46 blocks and 5 avenues away from Ollie's. Getting my weekly fix of Kung Pao Chicken was no longer an option. Now, now I had to figure out something myself. In the four years since, I’ve tried endless combinations of soy sauce, ginger, garlic, Szechuan peppercorns, and cornstarch. Sis, my Guinea pig and always the cheerleader, loves them all but I only frustrate because they’re not that Kung Pao Chicken. I know I should move past this and just enjoy my (Paleo) Kung Pao Chicken for what it is. I’m just not wired like that. Anyways, this is my very last attempt and though it’s not as perfect as I would love it to be, it’s crazy delicious. And if you aren’t irritatingly fixated on Kung Pao Chicken tasting like one thing and one thing only, I highly recommend it. I like to use cashews in lieu of the traditional peanuts Kung Pao chicken calls for. I love cashews, first of all, and they’re paleo too. I like to stick to authentic recipes, but a little tweaking sometimes makes it even better. 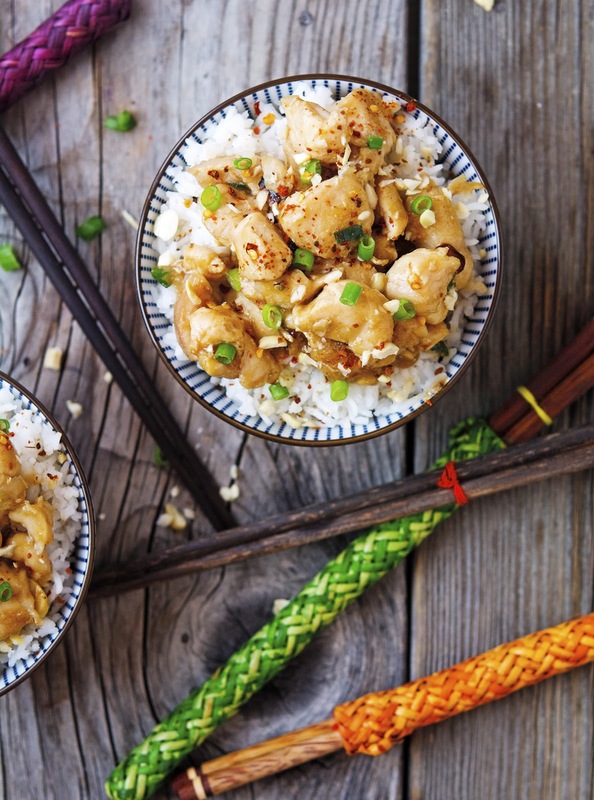 As much as I now love real-deal Kung Pao chicken, this Paleo take isn’t less good. 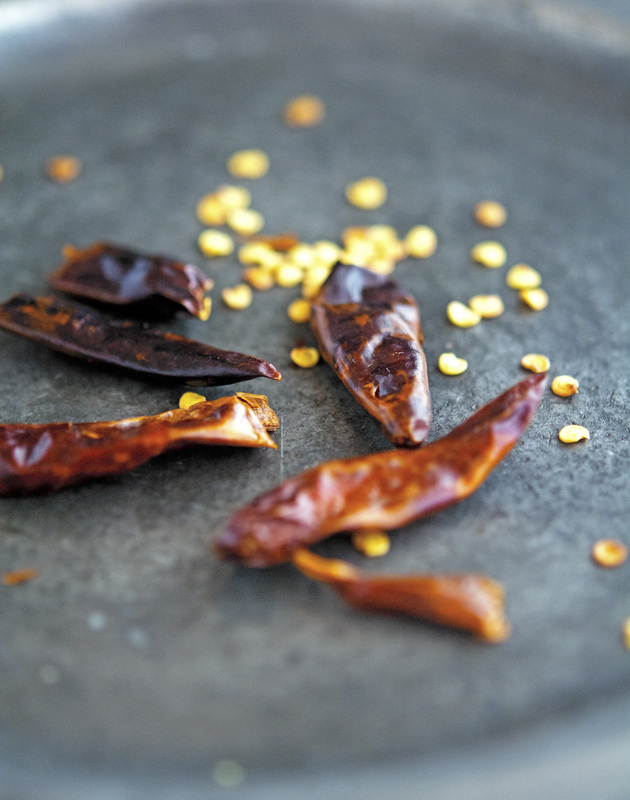 Spicy, slightly sweet, and so incredibly delicious. Yum! 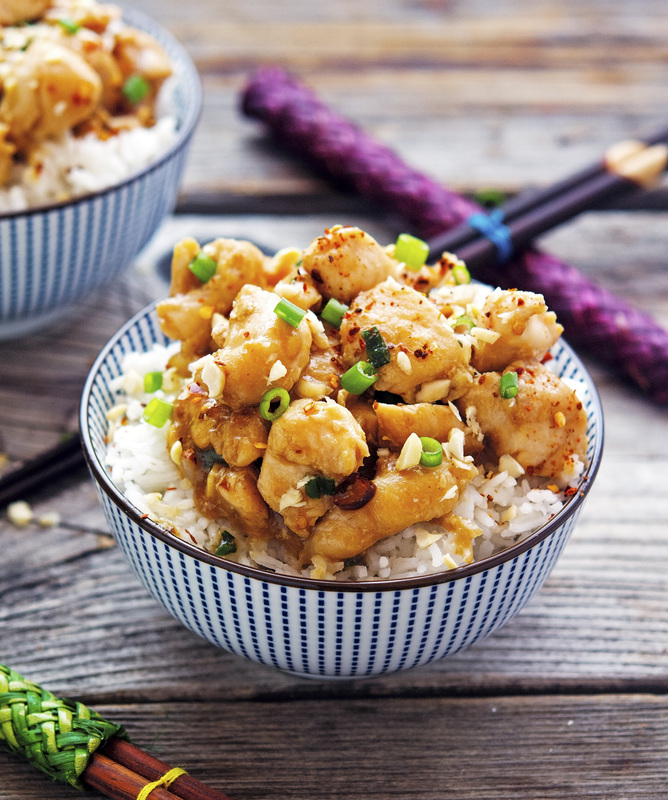 (Paleo) Kung Pao Chicken Print this recipe! Season chicken pieces with salt and pepper. Set aside. In a small saucepan combine arrowroot powder (or cornstarch), sesame oil, soy sauce, and four tablespoons of water. Give a good whisk making sure all the ingredients are combined. Add honey and ground ginger, place over medium heat and bring to a gentle boil, stirring frequently. Remove from the heat and set aside. In a large skillet (or wok), heat coconut oil over medium-high heat. Add chili peppers, garlic, and Sichuan peppercorns. Sauté for about 30 seconds, until fragrant. Add chicken pieces and cook for 4 to 5 minutes or until browned on all sides. Stir in the sauce and cook for further 2 to 3 minutes until the chicken is fully cooked and the sauce starts to thicken. Sprinkle with chopped cashews and serve! One serving yields 179 calories, 11 grams of fat, 8 grams of carbs, and 13 grams of protein. Oh yum! 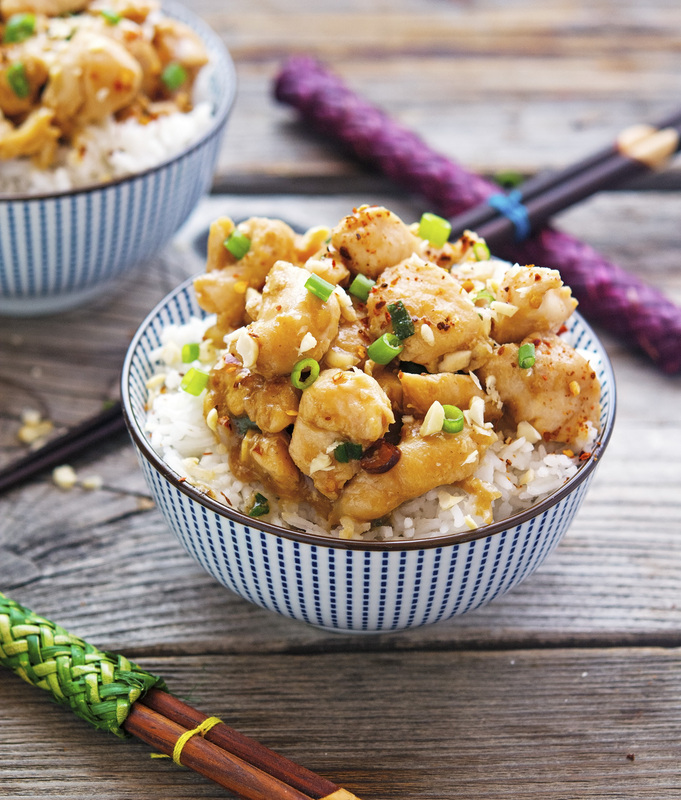 We love Chinese, and your recipes are always so yummy!! I will have to try this! It looks so good. I bought them in Thailand for less than a penny, they're the best of the best! I always order kung pao chicken for take out! This version Mike looks incredibly delicious.. and I love how it is a healthy paleo recipe too. Do you deliver? I've never had Kung pao chicken! Looks tasty for a cold fall day...or tonight for dinner. You must try it asap Jess, it's amazing! 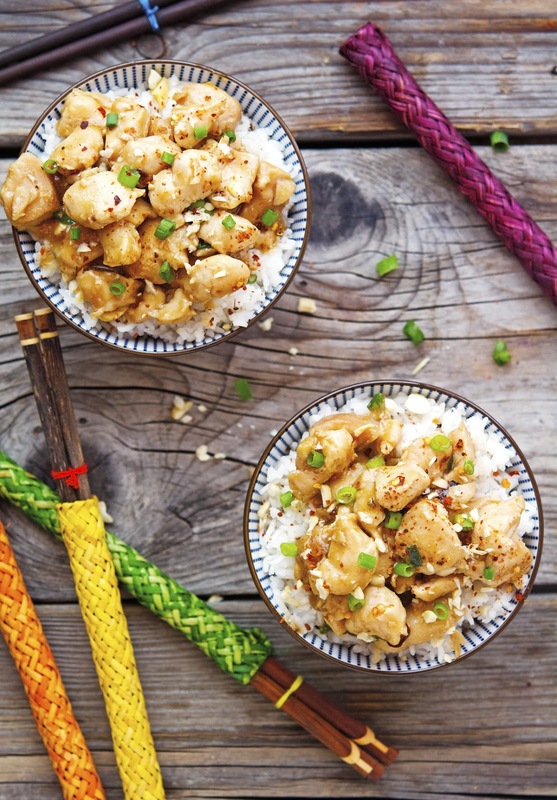 I'm wired to love all things delicious and THIS (<-- YOUR) Kung Pao Chicken looks all sorts of stellar! I am soooo digging your cashew vs. peanut substitution! ALL.Sorts.Of.YUM! Pinned! Cheers, buddy! P.S. I love that you have a Guinea pig and her name! <3 Cheers! Love this dish, haven't ordered it in AGES! I am glad you didn't decide to run those 46 blocks and 5 avenues down to Ollie's after you moved - because then this wouldn't have happened! May I please just be a guest when you cook? I'll bring wine and dessert. We must be on the same wave length again because I made Kung Pao Zoodles this week, although I don't think my version is anywhere near as authentic as yours! 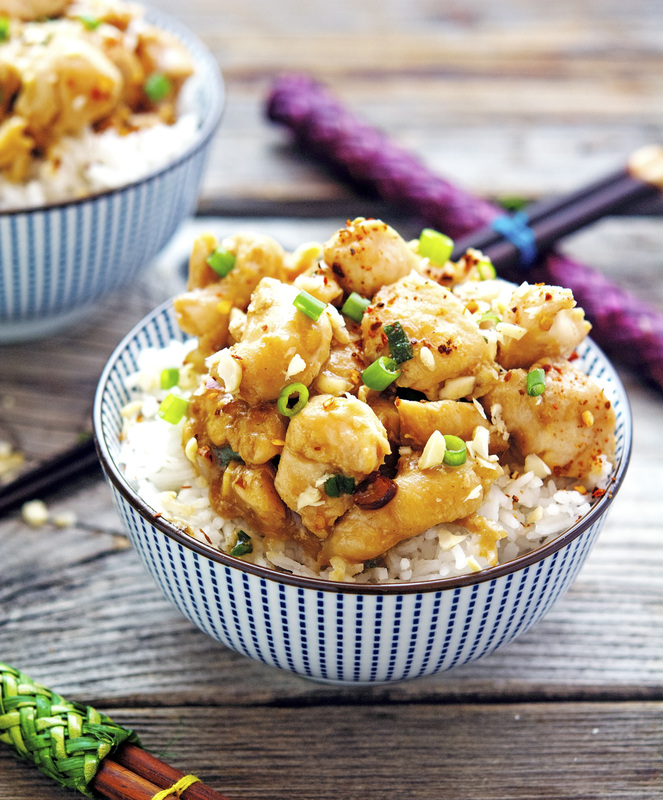 This has always been my favorite Chinese dish but I've never made an at home version that's quite like the restaurant one. Not that it matters too much because I love every version of Kung Pao Chicken, I just can't get enough of the sweet/spicy combo! Look so yummy, I Love all asia food. Also I love chicken too so I will try this recipe. So um... where do you buy these things? XD I don't know what sections to check or if I'd have to go to a specialty grocery store for some of this. Looks delicious though, I really want to try it!